Rebuildable Tank Atomizers (RTAs) are shaping up to be the big thing in vaping in 2019, and it’s easy to understand why. RTAs bring together the customizability and flavor of an RDA, with the ease of use and convenience of a refillable tank. 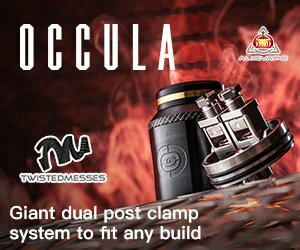 However, unlike your traditional sub-ohm tank, there are no ready-to-use pre-built coils that you can purchase from the store. Instead, you’ll have to build your coils yourself, wick them, and mount them on the deck. After that, it’s simply a matter of putting the RTA back together, and filling it up with your favorite ejuice! Now while this may sound complicated to a complete beginner, believe me when I say that it’s not. Building your own coils is easy with a bit of practice, and provides many advantages over your typical pre-made coils. Cost effectiveness, improved flavor, and customization options are just some of the many reasons why building your own coils is the way to go. We’ve created this list of the best RTAs as a guide for those with sub-ohm tanks who are looking to purchase their first RTA, or for RDA users looking for a tank with a little more convenience. Additionally, if you already use an RTA and are shopping for a new one, you’ll definitely find a new RTA that you like. For our list of the best RTAs 2019, we’ve divided them up into two categories: the best single coil RTAs and the best dual coil RTAs. These RTAs have been selected based on their build quality, ease of use, flavor and cloud production. So no matter what you’re looking for, these RTAs will satisfy your needs. The GeekVape Zeus X is the successor to the appraised Zeus Dual and is the latest addition to the Zeus family. It brings a 25mm diameter and an updated postless deck designed to accommodate large, complex builds. There are four terminals so you can use either single or dual coils and the screws are side-secured for easy building. The airflow on the Zeus X is perhaps its best feature. First off, it’s leak-proof thanks to its top airflow design. Secondly, the air from these two top airflow slots is directed through multiple holes in the chimney, then to your coil and out the mouthpiece. This results in tremendous vapor production and also enhances flavor. With the Zeus X you get nothing but good, smooth draws. With its 4ml max capacity this RTA will hold more than enough ejuice to get most vapers through their day and makes a great tank for any rebuildable lover. It’s reliable, easy to build on and it vapes like a beast — that’s the Zeus X RTA. The Kylin V2 is a 24mm RTA by Vandy Vape, and features a great deck design that is super easy to use. The build deck on the Kylin V2 is postless, and features four terminals with side mounted screws. Now while it can be used with a single coil, the Kylin V2 really shines when used with a dual coil setup and will provide excellent flavor and vapor production. The airflow on the Kylin consists of dual adjustable wide slots for intake. When you take a draw, centralized channels redirect airflow under your coils, while sloped outer channels concentrate and direct airflow to the sides of your coil. This clever design results in incredible flavor and some massive clouds, and is one of the main reasons why the Kylin V2 is so good. The Kylin will hold 3ml of juice if you use the standard glass section. However, this can be expanded up to 5ml by using the included bubble glass. As for filling, the Kylin V2 RTA features a convenient slide-to-open, top fill design that is very user-friendly and hassle free. All in all, the Kylin V2 by Vandy Vape is a superb RTA, and definitely one of the best RTAs in 2019. Building upon the success of the Dead Rabbit RDA, the RTA brings you the convenience of a tank while retaining the same awesome build deck. The four posts are shaped like rabbit ears and allow you to to drop your coil, and trim them after. This means that there’s no need to pre measure your leads, which is awesome. Also awesome is the airflow. There are two wide airflow slots located at the top of the device that funnel downward into the tank. This means that the Dead Rabbit RTA is leakproof, and that’s not something you can say about a lot of RTAs. The tank on the Dead Rabbit RTA will hold up to 4.5ml of ejuice with the bubble glass. This should allow for ample vaping time without having to refill. The top cap of the Dead Rabbit RTA is threaded, and simply unscrews to reveal two large fill ports. You can easily fill up the Dead Rabbit without worrying about making a mess. Overall, it’s flavor and ease of use make the Dead Rabbit RTA a top pick for a dual coil RTA. The Vandy Vape Kensei is a 24mm RTA that features a unique “stepped” two-post design. The Kensei can be used with either single or dual coil setups, and will produce immense flavor thanks to the raised build deck. With the standard glass, the Kensei will hold 2ml of ejuice. However, with the included bubble glass, this can be increased to 4ml. Filling the Kensei is very simple, and is done by removing the knurled top cap. Beautiful construction, high build-quality, and impressive performance are all reasons why the Kensei is one of the best dual coil RTAs 2019. The Advken Manta is not only a looker, it’s also one of the best RTAs around. With a 24mm diameter and a staggered two-post deck design, the Manta is great for either single or dual coil setups. The posts are shaped like steps, and allow you to insert your coils and secure them from the sides. For airflow control, there are six medium-sized airflow holes located on the bottom of the tank. The airflow is fully adjustable, and can be turned to fit your preference. When you take a draw, air is pulled through the six air holes, and into four internal channels inside the chamber. This results in better, smoother draws. The Manta has a 3ml standard ejuice capacity. However, this can be increased to 4.5ml with the use of the included bubble glass extension. The Manta is top filled, and simply requires you to unscrew the top cap in order to access the fill ports. The Intake RTA is a collaboration between Augvape and popular YouTube vape personality and reviewer, Mike Vapes. The Intake is a single coil RTA and features a very unique two-post deck, with screws that clamp down on your leads. The aesthetics of the tank are beautiful, and feature nice grooves and lines. Alongside its beauty, the hallmark feature of the Intake RTA is its airflow. While it is a top airflow tank, two tubes built into the deck funnel airflow from the top airflow slots, and out through holes located directly under your coil. The result is an RTA that literally “Intakes” air, and gives a flavor more comparable to bottom airflow tanks — without the leaking. The Intake will hold 2.5ml of ejuice with the standard glass. However, it also comes with a bubble glass that will up this capacity to 4.5ml. In order to fill the Intake, simply twist off the top cap with a quarter-turn, and you can easily refill through the two large fill ports. For its ease of use, leak-proof design and amazing flavor, the Intake RTA claims its spot as one of the best RTAs of 2019. Just like the Berserker Mini of last year, the Berserker V1.5 is small, good looking and extremely customizable. The BSKR V1.5 is a single coil RTA meant for MTL vaping at low watts and gives a nice, tight draw. Included with the BSKR V1.5 are two 510 drip tips as well as two tank sections: one glass and one stainless steel. The glass section will hold 2.5ml of eliquid while the stainless steel section can hold 3ml. The stainless steel section completely seals off the tank and gives the BSKR V1.5 a cool and completely different look. As it is meant for mouth-to-lung vaping, the build deck on the Berserker V1.5 will fit a single small coil. The build deck consists of two posts with a single terminal. Located directly below the coil is an airflow channel that condenses airflow for optimal flavor. The wicking ports are also perfect and will easily saturate your cotton. The airflow on the Berserker Mini V1.5 is adjusted through two small airflow holes that increase in 0.2mm increments, ranging from 1.0-1.8mm — perfectly suited for MTL. 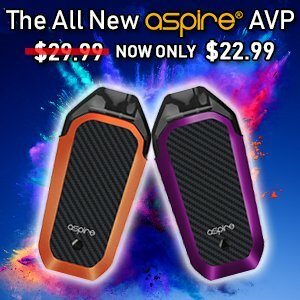 If that’s your vape style you’ll love the BSKR V1.5. Like its big brother the Kylin, the Kylin Mini delivers incredible flavor and an easy to use build deck. However, unlike the Kylin, the Kylin Mini is specifically designed to utilize only a single coil. Featuring a great postless deck design with a single terminal, the Kylin is beautifully machined and very user-friendly to build on. A unique feature of the Kylin Mini is its “180° Honeycomb” airflow intake. Two, adjustable, wide airflow slots funnel air directly from the bottom of the tank. This air is then brought directly underneath your coils, as well as up and towards the chimney. This design results in some extremely flavorful and smooth draws. The Kylin Mini will hold 3ml of ejuice with the stand glass section. However, this is expandable up to 5ml if you use the included replacement glass. To fill the Kylin Mini, simply undo the top cap and fill away! The top fill design is extremely easy to use. Overall, the Kylin Mini’s ease of use and top-notch flavor definitely make it one of the best single coil RTAs 2019. The Pharaoh Mini RTA is a collaboration between Digiflavor and popular YouTube vape reviewer, RiP Trippers. This RTA is a compact version of the original Pharaoh RTA, and features a convenient clamp-style, two-post deck design. The Pharaoh Mini is a single coil RTA and is available in a variety of different colors to suit your preference. The airflow on the Pharaoh Mini RTA is located at the bottom of the tank, and consists of two adjustable airflow slots. These airflow slots ‘click’ to adjust, and there are five different airflow settings that you can use. The Digiflavor Pharaoh Mini will hold 2ml of liquid with the standard glass, but can hold up to 5ml with the included expansion glass and chimney. In order to fill the Pharaoh Mini, simply undo the top cap, and fill your desired ejuice. The Pharaoh Mini is a great RTA, and comes from two huge names in vaping that know their stuff. Pick one up, you won’t be disappointed. Hands-down the most flavorful single coil RTA on our list, the OBS Crius II is a beast. Sitting at 25mm, the Crius II is a breeze to build on as the clamp style posts make it very easy to secure your leads. The way that the clamps are positioned make you insert your coils from the side, rather than the top. This is great because you’ll always have your coils at the same, perfect height. When it comes to airflow, the Crius II has two, wide airflow slots located at the bottom of the tank and a domed inner chimney helps to intensify the flavor in your draws. The airflow on the Crius II is fully adjustable and will provide a wide range of settings, allowing you to find the perfect draw. The tank on the Crius II Single-coil will hold 3.5ml of ejuice, and should be large enough for most vapers. When it comes to filling, the Crius II uses a sliding top fill method that is really easy to use. Simply pull on the top cap to expose the fill port, and fill away. It’s beautiful styling, excellent flavor, and easy building make the OBS Crius II a must have for anyone who loves single-coil RTAs. RTA stands for Rebuildable Tank Atomizer, and is a type of tank used in vaping. RTAs are best described as a mix of a rebuildable tank, and a refillable tank. Similar to RDAs, you build your own coils, and make your own wicks. However, there is no need to drip like in RDAs and you simply fill your tank and vape away. RTAs generally look a lot like your typical sub-ohm tank, and offer the same large ejuice capacity and adjustable airflow control that you would expect from a refillable. There are a number of reasons that make using an RTA the way to go. Now, if you’re new, don’t be frightened by the thought of building your own coils. It’s actually very simple to learn, and with some practice you’ll be able to make coils and wick them without a second thought. Building your own coils adds another level of customization to your vaping, and you can tailor the resistance to just the way you like it. Custom coils also give you the option of using coils with more surface area, which in turn will produce more vapor and flavor (check out clapton coils for a good starter coil). Using an RTA also means that you don’t have to drip like in an RDA, but still get the flavor and clouds. With their large tank capacities, using an RTA can be more convenient than dripping with an RDA. Most RTAs have tank capacities around 4-5ml, and this will be more than enough to get you through even some high-wattage vaping sessions without having to refill. I have the Dead Rabbit RTA, the OBS Engine V1 & V2, the Juggerknot RTA, & the Zeus Dual. They’re all top airflow tanks ad I would rate them similar to your ratings Dead Rabbit 1st, OBS V1 2nd, Juggerknot 3rd, OBS V2 4th & Zeus in 4th. I also have others that are not top airflow but those lag behind these in my rankings. I would place the Blitzen in 5th to round out my top 5. The Juggerknot & the Engines are very similar I find. The Engine V1 has a normal velocity style deck. The Juggerknot has a postless deck and the Engine V2 has that stupid upside down deck. I like that these tanks have a lift up ring that exposes a filling hole. You do’t have to deal with a cap when filling the tank. The Rabbit doesn’t have that but you can’t beat it for air and juice flow and for flavour. The Zeus is a pain to get wicked right. Too many dry hits and/or flooding. Aside from it being finicky in that regard it’s a great tank.